This summer saw the launch of a new Jisc publication based on the outcomes of the Jisc Institutional Approaches to Curriculum Design programme. It is a short, assessible publication that provides practical tips and resources to enable those involved in curriculum design and approval in higher education to enhance their practices through the use of technology. The publication is available to download from the Jisc website. Watch out for the launch of a related infoKit on ‘Managing course information’which draws together guidance and resources from both the Jisc Curriculum programmes and the Course Data programme. A taster is available on the Jisc infoNet website. Posted by msheppard on August 16, 2013 in Uncategorized. The last four years have seen unprecedented change in higher education in the UK. During that time 12 universities funded under the JISC Institutional Approaches to Curriculum Design programme have been steering change projects through some significant challenges to transform their institutions’ approaches to curriculum design. The projects were focusing on a range of issues including: delivering a more flexible, responsive curriculum; developing fit-for-purpose quality processes; managing course related information more effectively and; enhancing the learning experience and meeting learners’ expectations. Many of these challenges have acquired greater urgency in a more constrained funding environment but the ultimate goal has always been to enhance the curriculum offer, making it more responsive to new markets and needs, more sustainably delivered, more flexible, and more attuned to the capabilities required by graduates in the 21st century. The programme’s final synthesis report authored by Helen Beetham provides a final analysis of findings, deliverables and outcomes. It aims to inform the sector of key issues and developments in curriculum design surfaced over the four years of the programme and evidence that institutional and technology-enhanced approaches to curriculum design are both possible and valuable (though challenging). It will also provide material for further communications aimed at specific parts of the sector. The analysis is focused around five core themes: transformed curriculum processes; transformed curriculum information; transformed design practices; transformed learning opportunities and; transformed organisations. •	A single, trusted source of course information can be achieved through a centralised academic database, but similar benefits can be gained through enhancing the functions, interfaces and interoperability of existing systems. •	Trusted, relevant, timely information can support educational decision making by curriculum teams. •	Better managed information allows institutions to analyse the performance of their course portfolio as well as meeting external reporting requirements. •	Curriculum design practices can be enhanced through face-to-face workshops with access to resources and guidance. •	Particularly effective resources include concise statements of educational principle with brief examples; and tools/resources for visualising the learning process, e.g. as a storyboard or timeline, or as a balance of learning/assessment activities. •	With better quality guidance and information available, curriculum teams can build credible benefit/business cases and respond more effectively to organisational priorities. To view the report (pdf and online version) and for support resources around curriculum design and delivery from JISC, visit the Design Studio. Posted by msheppard on November 27, 2012 in Agile Processes, Change Management, Design Projects, Employer Engagement, Learner Experience, Learning Design, Pedagogic Approaches, Quality Assurance and Enhancement, Sustaining and Embedding and tagged jisccdd. This summer saw the launch of a new JISC On Air Radio show which explores curriculum design and the role technology plays in supporting changes to organisational practices and processes. The focus is on the different approaches to curriculum change and engaging stakeholders of two universities involved in the Curriculum Design programme – Birmingham City University (BCU) and Manchester Metropolitan University (MMU). Reporter Kim Catcheside talks to staff and students at both universities about their experiences. This includes an interview with Sonia Hendy-Isaac, a senior lecturer at Birmingham City University who explains how the T-SPARC project has been developing a framework which facilitates better dialogue and transparency around course design and approval to enable more agile and responsive curricula. Kim also talks to Professor Mark Stubbs, Head of Learning and Research Technologies at Manchester Metropolitan University about transformational changes to the curriculum there and the role of the Supporting Responsive Curricula project in supporting this. Project Manager, Peter Bird, discusses how some of these system and process changes are enabling academic staff to focus more on teaching and Professor Kevin Bonnet, Deputy Vice-Chancellor for Student Experience, explains the business imperative for change at the institution. Posted by msheppard on September 18, 2012 in Change Management, Design Projects, Sustaining and Embedding. Building on the work of the JISC OULDI project, the Open University will be leading a MOOC (Massive Open Online Course) on the theme of curriculum design with OERs (open educational resources) (see announcement). This will run from September to December 2012 and will be valuable for anyone seeking to develop their professional skills and experience in curriculum design, learning design and use of OERs in education. In particular the course will appeal to new and established HE and FE lecturers, to those completing professional certificates in teaching, and to researchers and managers of teaching and learning innovation. Further details regarding how to get involved, start dates, and core themes will be announced during the summer. In the meantime, please register your interest here: http://goo.gl/j5jIe. 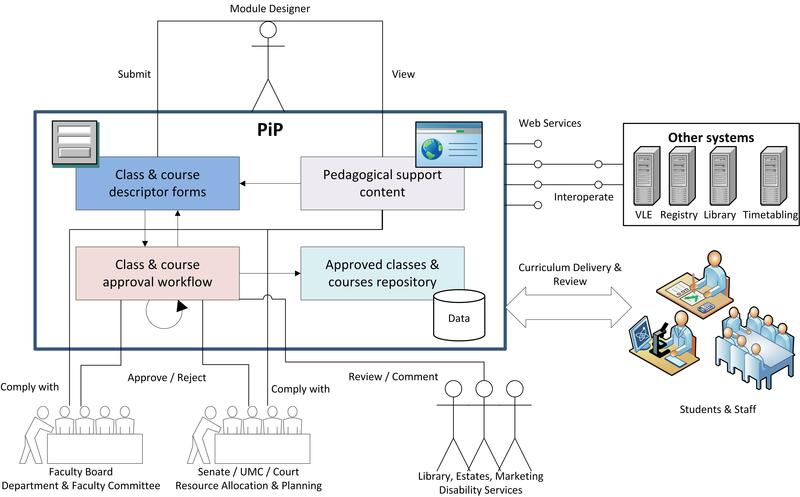 The Curriculum Design MOOC will be funded by JISC and the Open University and supported by the OULDI project, Learning Design Grid and other partner organisations, including the University of Greenwich. Posted by msheppard on July 9, 2012 in Design Projects, Learning Design and tagged curriculum design, jisc, mooc, oers. For the last time, I’ve pulled together a summary of the twitter activity from last week’s final programme meeting in Birmingham. View the story “#jisccdd Celebrating Success and Continuing the Journey” on Storify. As the programme has developed, it has been great to see the connections between and beyond the programme. Using Martin Hawksey’s google twitter archive template, it has been possible to create an archive of the programme hashtag #jisccdd.. From this we are also able to create an interactive visualisation of twitter interactions. Posted by sheilmcn on May 28, 2012 in Design Projects. As the Design projects come to and end and are compiling their final stories of their four year journeys, I’ve been thinking about timelines. So, in preparation for next week’s final programme meeting, here’s a timeline which pulls pictures and videos from youtube and twitter that have been tagged with #jisccdd (thanks to my colleague Martin Hawksey for creating the template to do this). CETIS Curriculum Design Topic area on Dipity. This the #jisccdd twitter feed. jisccdd – Twitter Search on Dipity. JISC Curriculum Design and Delivery Events on Dipity. Posted by sheilmcn on May 17, 2012 in General. Posted by sheilmcn on April 23, 2012 in Design Projects, modelling, Pedagogic Approaches, Sustaining and Embedding. Continuing from my last post, the next part of the programme technical journey focuses on Cluster B projects: T-Sparc, PALET, UG-Flex and PREDICT who all had a broad common theme of organizational change. In many ways this cluster represents the ‘business end’ of the programme. With Cardiff, Greenwich and City Universities all having pretty robust institutional system integrations in place before the programme started. The programme was a way to develop these existing systems to allow more effective and pedagogically driven processes to be developed and incorporated. Unlike the other 3 projects in this cluster, T-Sparc didn’t have as robust an infrastructural starting point, however providing a means for organizational change around curriculum design was a key driver. “• To inform programme design activity through the improved provision of relevant information to those stakeholders engaged in curriculum design. One of the key findings from previous technical conversations with the programme was the number of instances of Sharepoint, and its central role for a number of projects. As I commented then, that probably wasn’t that surprising given the that over 90% of UK universities have an installation. The T-SPARC project initially were looking towards utilizing Sharepoint as a definitive document repository and take advantage of its document version control abilities. However as the project has progressed, it has evolved to become the central part of their curriculum design system. A number of workflows were created from their stakeholder enagement and baselining processes using combination of modeling techniques including experiments with BPMN, UML and Visio as outlined in these blog posts. The team were also able to negotiate dedicated time from an specialist Sharepoint developer in the institution to work with them using an agile development process. A dedicated area in the project blog documents their experiences in working with Sharepoint, and agile project methodology. The posts in this area are particularly useful in sharing real experiences of a project working with agile methods, as well as with corporate IT services – worth a look if you are new or going to be working with others new to this type of approach. Their prototype PADS (programme design and approval system) system is now being trialed by eight programme teams. A key challenge in terms of sustainability and embedding is how to ensure that the system is integrated into wider institutional initiatives such as the recent implementation of SITS. However, as with many other projects, cultural interoperability is perhaps more of a challenge than its technical counterpart. Perhaps the leading light in terms the use of video narratives, the T-Sparc team have invested time and money into capturing the stories and experiences of their key stakeholders (staff and students) included a very innovative video baseline report. The team have used a mix of video caputure methods including flipcams and the ipad based MiiTuu sytesm. The later is a relatively new development which the team have been using with students and employers. The allows exporting and sharing of questionnaires across devices and allow for time reductions in the setting up and gathering of data. The system utilizes i-Tunes, BCU has an institutional wide itunes provision, so again sharing is simplified. The use of video for personal reflection is fairly mainstream within the institution now too. The team have made extensive use of free editions of video editing/compression packages (Handbrake, Microsoft Expression), however they are still searching for a real time video compressor. Ideally one which would compress on the fly and have an automagic deposit to repository feature to suit their needs – and budget. Again storage for video is an issue (as highlighted in this post) – is this where cloud storage could play a useful institutional role? The team are also developing a Rough Guide to Curriculum Design which is outlined in this post which will synthesis all aspects of the project. In contrast to T-Sparc, the PALET project was working within the context of a fairly robust internal technical infrastructure based largely on IBM websphere and Lotus tools. Institutionally, the Lean methodology was also being widely supported. Cardiff also had previous experience of Enterprise Architeture and, as the project developed, through other institutional projects, links to the JISC FSD programme. Key to the project has been the creation of a single data source which contains all relevant curriculum design and approval information which can be easily re-purposed and accessed by various stakeholders. Interestingly the project has ended up taking a scaled down approach and building their own webservices and not using IBM tools. They have moved away from using websphere as their main data source and SITS is now core for the storage of course related information. This has allowed the team to write their own webservices using Grails, and taking restful approaches and the Groovy programming language. This was quite a sea change for all involved as outlined in this blog post. As highlighted in the post, the team have found this experience very useful, and this generic web services approach/architecture is now being rolled out in other parts of data provision in the University. This should help with sustainability and the embedding of more data services/ provision as and when needed. Again the successful managing of change during the lifecycle of the project has been key for everyone. Sometimes a simple approach is best. Parts of the their larger infrastructure remain and there are now better connections with for example Lotusnotes and bringing feeds and topics into one overarching portal for end users. However, the team have developed a dedicated portlet for course information which links to the main websphere portal. Details of which are outlined in their portlet technical specification. The work done on the underlying technical infrastructure ensures that the progress in terms of redesigning course and module templates can be fully utilised. Like T-Sparc, the team are still analyzing the need for XCRI, and are confident that they could easily create a feed if need, however there still aren’t key internal drivers for this as yet. A full technical specification for the project is also available. Like PALET, UG-Flex also had a robust infrastructure (based largely on SunGard Banner ) in place which they planned to build on. Although the institution did have dedicated business analysts the experience of the project has had an impact on approaches to business processes in general and the use of and techniques applied for modelling. For example although their Business Analyst were conversant with various visual modeling techniques and languages (BPMM, BPEL, UML) to illustrate and developed technical infrastructures, having resource dedicated to the project allowed them to work at a far greater level of detail. This experience has allowed the for the processes used in the project be incorporated into day to day techniques in other large scale projects throughout the University. Exploration of TOGAF methodologies is ongoing and staff are undertaking accreditation training.. In previous conversations with the team, they had expressed an interest in XCRI. Greenwich has been successful in gaining one of the JISC Course Data projects and it is now embarking on their xcri-cap production stage. A nice example a synergistic relationship with the outcomes and findings of UG-Flex, and future institutional planning e.g. KIS returns. Through Banner, there is use of IMS enterprise compliant tools, but there has never been a plan to develop anything at the enterprise level. However, in terms of future developments there are some major changes for the IT team. The new versions of Banner are now component based as opposed to Oracle based. Whilst on the one hand this does allow for greater flexibility and more agile approaches, as well as an improved UI; on the other this is a major change for some more traditional database developers, and so an issue for staff skills and development. Again we had talked about Sharepoint in previous discussions, and concerns had been raised about its suitability for managing data as opposed to documents which it has undoubted strengths in. Now there is a fully supported installation in their Business School. Preparatory work is been undertaken around implementing some automated workflows, in particular around QA processes which have been developed through UG-Flex. As an adjunct to this work, and UG-Flex, a personalized timetabling service is being developed and trialled in the Business School. The team have also kindly agreed to write this up as a guest post in the CETIS other voices blog. Overall the team have found that the UG-Flex project has been exemplary in terms of academic needs driving developments, and not the IT department. Particularly with the VLE migration, there is a strong sense of ownership from the academic community as they feel they have been fully part of the decision and migration process. PREDICT was again a project with a pretty robust architecture and like UG-Flex, they have noticed a perceptible change in attitude during the lifecycle of the programme. The use, and understanding of the term, Curriculum Design is now far more commonplace in conversations within the IT department, and the core business of the University – teaching and learning – is being considered more at the start of discussions about new IT developments. In light of the KIS requirements they are reviewing their current data provision and in particular their local course information database (Prism). They are considering some re-engineering and simplification of the UI, taking a more component/SOA approach. They have also been in discussions with other institutions about building similar tools in SITS. SITS and in particular StuTalk has proved to be central for developing more business processes, and they have “service enabled” their installation for wider business processes. Like Cardiff they use IBM Websphere and it provides their key middleware stack. In conjunction with these back-end developments, the project has also made progress in the redesign of their course and module documentation for staff. The PREDICT project, and other internal projects relating to blended learning have been useful in terms of developments in their Moodle deployment, and getting people to engage more about using it, and not just using it as a defacto course notes repository. One area the PREDICT project has highlighted is a gap in up to date information on staff in the HR system. There is basic employment/payroll information but not an awful lot on what they actually do day to day. Creating more personalised timetables is something they (and many others) are currently investigating. The potential for joining up curriculum information, student information with staff information so, for example, a student would see which lecturer was taking each class, and have links to the staff members research interests; publications etc is very attractive. But again, requires more work on the sharing of the appropriate information between systems. Overall the project has shown that it is worthwhile to allow staff and students and the IT department time to think through their IT service provision together. Enhancing business processes alone can’t make a poorly designed course better (the supporting pedagogically guidance the project has produced will help with that! ), but they can make some tasks easier/less time consuming. Like UG-Flex there is now more IT provision planning being done in conjunction with educational development staff which wouldn’t have happened before the project. So from this cluster, agility and greater communication between central IT provision has been key. Agile approaches can allow for more rapid development of light-weight, but effective web services as highlighted by PALET. However, this change of approach can bring with it issues of staff skills and development. Effective communication is always central to the success of any change process, and maintaining the links fostered through these projects will be key for future sustainability and embedding. Posted by sheilmcn on April 4, 2012 in Design Projects. Curriculum Design Programme, based on a series of discussions between CETIS and the projects. These yearly discussions have been annotated and recorded in our PROD database. The programme is well into its final year with projects due to finish at the end of July 2012. Instead of a final report, the projects are being asked to submit a more narrative institutional story of their experiences. Rachel’s recent post gives a great overview of this approach. As with any long running programme, in this instance, four years, a lot has changed since the projects started both within institutions themselves and in the wider political context the UK HE sector now finds itself. I felt that it would be useful to summarize my final thoughts or my view of overall technical journey of the programme – this maybe a mini epic! This post will focus on the Cluster C projects, OULDI (OU), PiP (University of Strathclyde) and Viewpoints (University of Ulster). These projects all started with explicit drivers based on educational principles and curriculum design practices. The team have built up an extensive toolkit around the design process for practitioners, including: Course Map template, Pedagogical Features Card Sort, Pedagogy Profiler and Information Literacies Facilitation Cards. The main technical developments for the project have been the creation of the Cloudworks site and the continued development of theCompendium LD learning design tool. Cloudworks, and its open source version CloudEngine is one of the major technical outputs for the programme. Originally envisioned as a kind of flickr for learning designs, the site has evolved into something slightly different “a place to share, find and discuss learning and teaching ideas and experiences.” In fact this evolution to a more discursive space has perhaps made it a far more flexible and richer resource. Over the course of the programme we have seen the development from the desire to preview learning designs to last year LAMS sequences being fully embedded in the site; as well as other embedded resources such as video diaries from the teams partners. The site was originally built in Drupal, however the team made a decision to switch to using Codeigniter. This has given them the flexibility and level control they felt they needed. Juliette Culver has written an excellent blog post about their decision process and experiences. Making the code open source has also been quite a learning curve for the team which they have been documenting and they plan to produce at least one more post aimed at developers around some of the practical lessons they have learned. Use of Cloudworks has been growing, however take up of the open-source version hasn’t been quite as popular an option. I speculated with the team that perhaps it was simply because the original site is so user-friendly that people don’t really see the need to host their own version. However I think that having the code available as open source can only be a “good thing”, particularly for a JISC funded project. Perhaps some more work on showing examples of what can be done with the API (e.g. building on the experiments CETIS did for our 2010 Design Bash ) might be a way to encourage more experimentation and integration of parts of the site in other areas, which in turn might led to the bigger step of implementing a stand alone version. That said, sustaining the evolution of Cloudworks is a key issue for the team. In terms of internal institutional sustainability there is now commitment to it and it has being highlighted in various strategy papers particularly around enhancing staff capability. Compendium LD has also developed over the programme life-cyle. Now PC, Mac and Linux versions are available to download. There is also additional help built into the tool linking to Cloudworks, and a prototype areas for sharing design maps . The source code is also available under a GNU licence. The team have created a set of useful resources including a useful video introduction, and a set of user guides. It’s probably fair to say that Compendium LD is really for “expert designers”, however the team have found the icon set used in the tool really useful in f2f activities around developing design literacies and using them as part of a separate paper-based output. The Viewpoints process is now formally embedded the institutional course re-validation process. The team are embarking on a round of ‘train the trainer’ workshops to create a network of Viewpoints Champions to cascade throughout the University. A set of workshop resource packs are being developed which will be available via a booking system (for monitoring purposes) through the library for the champions. The team have also shared a number of outputs openly through a variety of channels including delicious , flickr and slideshare. The project has focused on f2f interactions, and are using now creating video case studies from participants which will be available online over the coming months. The team had originally planned on building an online narration tool to complement (or perhaps even replace) the f2f workshops. However they now feel that the richness of the workshops could not be replaced with an online version. But as luck would have it, the Co-Educate project is developing a widget based on the 8-LEM model, which underpins much of the original work on which Viewpoints evolved, and so the project is discussing ways to input and utilize this development which should be available by June. Early in the project, the team explored some formal modelling approaches, but found that a lighter weight approach using Balsamiq particularly useful for their needs. It proved to be effective both in terms of rapid prototyping and reducing development time, and getting useful engagement from end users. Balsamiq, and the rapid prototyping approach developed through Viewpoints is now being used widely by the developers in other projects for the institution. Due to the focus on developing the workshop methodology there hasn’t been as much technical integration as originally envisaged. However, the team has been cognisant of institutional processes and workflows. Throughout the project the team have been keen to enable and build on structured data driven approaches allowing data to be easily re-purposed. The team are now involved in the restructuring of a default course template area for all courses in their VLE. The template will pull in a variety of information sources from the library, NSS, assignment dates as well as a number of the frameworks and principles (e.g. assessment) developed through the project. So there is a logical progression from the f2f workshop, to course validation documentation, to what the student is presented with. Although the project hasn’t formally used XCRI they are noting growing institutional interest in it and data collection in general. The team would like to continue with a data driven approach and see the development of their timetabling provision to make it more personalised for students. Unlike OULDI and Viewpoints, this project was less about f2f engagement supporting staff development in terms of course design, and focused on designing and building a system built on educationally proven methodology (e.g. The Reap Project). In terms of technical outputs, in some ways the outputs and experiences of the team actually mirrored more of those from the projects in Cluster B as PiP, like T-SPARC has developed a system based on Sharepoint, and like PALET has used Six Sigma and Lean methodologies. The team have experimented extensively with a variety of modelling approaches, from UML and BPMN via a quick detour exploring Archi, for their base-lining models to now adopting Visio and the Six Sigma methodology. The real value of modelling is nearly always the conversations the process stimulates, and the team have noticed a perceptible change within the institution around attitudes towards, and the recognition of the importance of understanding and sharing core business processes. The project process workflow diagram is one I know I have found very useful to represent the complexity of course design and approval systems. The team now have a prototype system, C-CAP, built on Sharepoint which is being trialled at the moment. The team are currently reflecting on the feedback so far via the project blog. This recent post outlines some of the divergent information needs within the course design and approval process. I’m sure many institutions could draw parallels with these thoughts and I’m sure the team would welcome feedback. In terms of the development of the expert system, they team has had to deal with a number of challenges in terms of the lack of institutional integration between systems. Sharepoint was a common denominator, and so an obvious place to start. However, over the course of the past few years, there has been a re-think about development strategies. Originally it was planned to build the system using a .Net framework approach. Over the past year the decision was made to change to take an InfoPath approach. In terms of sustainability the team see this as being far more effective and hope to see a growing number of power users as apposed to specialist developers, which the .Net approach would have required. The team will be producing a blog post sharing the developers experience of building the system through the InfoPath approach. Although the team feel they have made inroads around many issues, they do still see issues institutionally particularly around data collection. There is still ambiguity about use of terms such as course, module, programme between faculties. Although there is more interest in data collection in 2012 than in 2008 from senior management, there is still some work to be done around the importance and need for consistency of use. So from this cluster, a robust set of tools for engaging practitioners with resources to help kick start the (re) design process and a working prototype to move from the paper based resources into formal course approval documentation. Posted by sheilmcn on March 21, 2012 in Design Projects, Learning Design. Posted by Rachel Harris on March 19, 2012 in Change Management, Design Projects, Uncategorized.